With no party yet found responsible for the alleged airstrike on the humanitarian aid convoy west of Aleppo, which killed several Syrian Red Crescent volunteers, the US State Department was quick to vent its outrage, blaming Damascus and Moscow for the attack. As result of the attack, the mission’s chief and several other workers suffered severe injuries, a witness told Reuters. The convoy was carrying humanitarian cargo to some 78,000 civilians stranded in the war-stricken town. While no party has claimed responsibility for the attack, pro-rebel groups rushed to blame the incident on government forces, claiming it was either a Syrian or a Russian warplane that carried out the strike. — John Kirby (@statedeptspox) 20 сентября 2016 г. “The United States will raise this issue directly with Russia. Given the egregious violation of the Cessation of Hostilities we will reassess the future prospects for cooperation with Russia,” Kirby said. There have been conflicting reports on the number of casualties. According to Elhadj As Sy, secretary general of the International Federation of Red Cross and Red Crescent Societies, 14 volunteers from a Syrian branch of Red Crescent (SARC) fell victim to the attack. For its part, the United Nations was unable to confirm an exact death toll, saying that the attack resulted in “many” people killed. “Initial reports indicate that many people have been killed or seriously injured, including SARC volunteers, as a result of these sickening attacks,” O’Brien said in a statement Monday, adding that apart from the warehouse a health clinic has been also damaged. — Stephen O'Brien (@UNReliefChief) 20 сентября 2016 г. The attack comes as the militants from Jabhat-Al-Nusra have been pushing on the Syrian army positions in southwest Aleppo and residential areas on Monday, shelling them with tanks, missile systems and mortar fire. 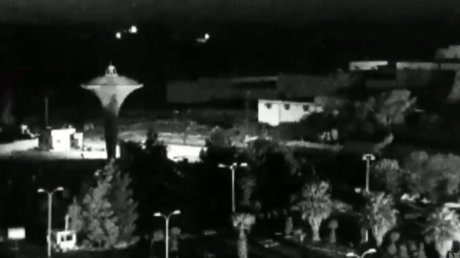 The large-scale offensive, targeting the Assad Academy in Aleppo, has inflicted damaged on the building and forced out the Russian Defense Ministry’s camera, monitoring the truce, out of operation. In the wake of the attack Washington and Moscow are going to convene an urgent meeting on Monday night to Tuesday to discuss the implications of the incident to the Syrian peace process. “We are also going to be meeting with the Russians at high levels to try to get a sense from them about where they think this [Syrian ceasefire] can go from here,” an unnamed US official said, as cited by news agency Sputnik. “What happened today has dealt a serious blow to our efforts to bring peace to Syria,” the source added. Meanwhile, France has called on the ceasefire to be restored in full as soon as possible, while decrying the attack. “France strongly condemns the destruction of a humanitarian convoy in Syria and the death of all the personnel in it,” Foreign Ministry spokesman Romain Nadal said, as cited by Reuters. “This destruction illustrates the urgency of a ceasefire,” he stressed. 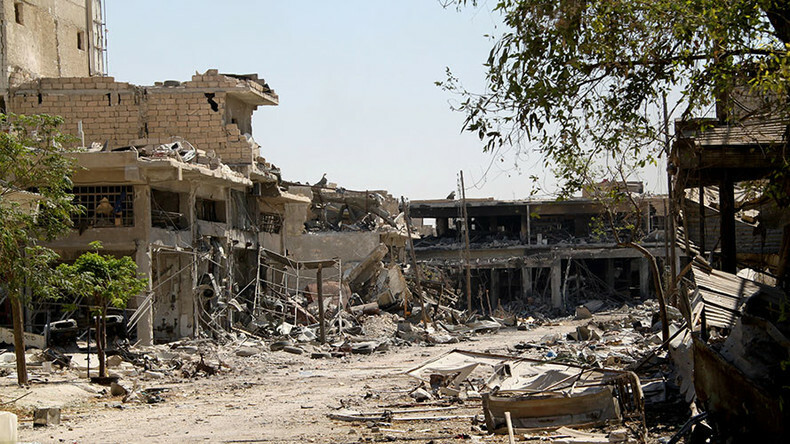 The attack adds further uncertainty over the prospects of the latest Russia-US brokered ceasefire deal, days after the US-led coalition bombed Syrian government forces’ positions near the city of Deir ez-Zor, killing 62 Syrian troops and injuring over 100. The airstrike, described by Russia’s Defense Ministry as “serious and blatant aggression” facilitated the advance of Islamic State (IS, formerly ISIS/ISIL) militants in the area. Apart from the US forces, the UK, Australian and Danish militaries admitted their participation in the attack, mounted by two F-16 jet fighters and two A-10 support aircrafts. While the attack on the SARC volunteers near Aleppo might cast doubt on the possibility of a long-standing ceasefire in Syria, the aid volunteers have long been calling on the additional protection for humanitarian workers. Stephen Ryan, coordinator for Red Crescent and Red Cross said that dozens of the group’s volunteers have been killed since the onset of the protracted military conflict in Syria. While the organization’s everyday efforts do not often come into spotlight, the volunteers have to regularly face the imminent danger of being killed. “Each month SARC provides assistance to between 4.5 and 5 million people and oftentimes this goes unnoticed but each day Red Crescent volunteers are out there providing assistance, providing food relief, providing medical assistance, providing psyche social support,“ Ryan said. Neither the Red Cross nor the Red Crescent will take sides or participate in speculation as to who is to blame for the atrocity, Ryan says.